Whether an employee, a contractor or a visitor at one of our sites across the globe, our main priority is your safety. We want you to be confident that your time spent with NGF will be injury free and that you will leave our sites in the same state of health as when you arrived. Our commitment to safety comes from the very top, we believe that all accidents are preventable and that every employee, contractor and visitor has an important part to play. Therefore we need and expect your total commitment and cooperation to achieving the best safety performance possible. Contractors have a special role to perform at NGF towards achieving the best safety performance possible and therefore we will make our expectations and requirements clear before you can start work on a site, it is a condition of a continuing business relationship with NGF that these are respected and met. We also welcome your input to improving what we do as you bring your professionalism and experience from other environments to bear at NGF. While you are with us, whether as an employee, contractor or visitor, if you see anything you think is unsafe, please mention it immediately to the person/s involved or report it using the procedures you have been trained in or directly to your line manager or site contact; by doing so you will help prevent an accident to yourself or someone else, now or in the future. Please also expect that if anyone sees you doing something they do not think is safe, that they will approach you about this. These concerns should be gratefully accepted. This interdependency – where we all look out for each other as well as ourselves – is key and by constantly working together this way we will create a culture in which all accidents are prevented. You can read on our website a number of publications targeting specific groups. These publications emphasize the importance we place on your safety and are there to help you when you are with us. We have a motto: “Think what if, not if only…” With this in mind we ask everyone to stop and think for 30 seconds before they carry out any task whilst on a site. Finally, safety impacts everything we do in all spheres of life so I hope that what we do to prevent accidents at NGF, can also help you to avoid them outside of work too. 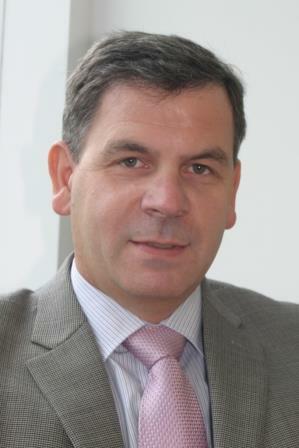 Alistair Poole, Head of Functional Products Division.